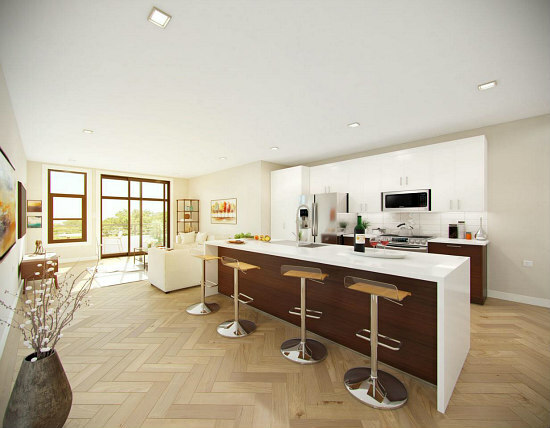 Last week, UrbanTurf continued its updated look at the DC-area residential development pipeline with a look at the western side of the Capitol Hill neighborhood. Now, we follow up to see what is in the works to the east and south of Potomac Avenue Metro station. On the southeastern side of Potomac Avenue Metro, Pecar Properties will soon deliver 36 condos at 1345 K Street SE (map), in the Stone Hill development. 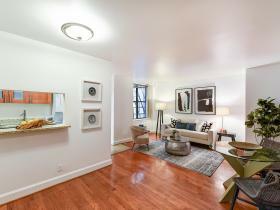 Urban Pace has already sold over two-thirds of the one-, two- and three-bedroom units. 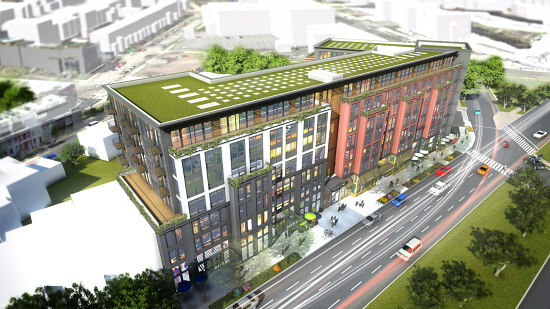 CAS Riegler and May Development are in the midst of constructing 1401 Penn, a seven-story building with 167 apartments above 23,500 square feet of ground-floor retail at 1401-1433 Pennsylvania Avenue SE (map). Neighborhood Restaurant Group has leased 13,500 square feet of space on the ground floor to deliver a food market concept that could potentially have five restaurants and two bars or coffee shops with a communal seating area. The apartment mix will range from studios to three-bedrooms; the building will also include 58 vehicle and 198 bicycle spaces on a below-grade level. The development is expected to be complete in the latter half of 2019, with the food hall possibly coming in 2020. Antunovich Associates is the architect. 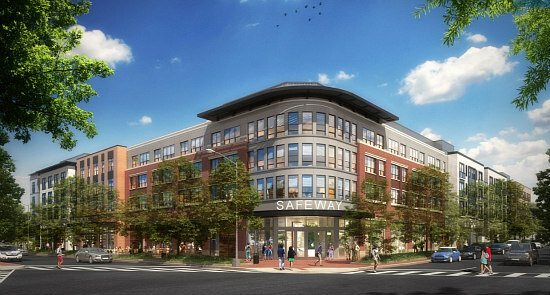 Following the closure of the Safeway at 415 14th Street SE (map) a few months ago, work is beginning on a five-story mixed-use redevelopment at the site. As early as 2020, Foulger-Pratt will deliver 325 apartments above a new Safeway store that will be 10,000 square feet larger than the previous store, taking up 60,000 square feet of ground floor space alongside another 8,000 square-foot retail space. Roughly 70 percent of the units will be studios, one-bedrooms and one-bedrooms with dens; the remainder will be two-bedrooms and two-bedrooms with dens. Thirty-three of the apartments will go to households earning up to 60 percent of area median income. Donatelli Development has broken ground on the first phase of the Reservation 13 redevelopment, which will deliver a pair of mixed-use residential buildings. Located roughly at 19th and Burke Street SE adjacent to the Stadium-Armory Metro station and DC Jail (map), buildings G1 and F1 will deliver a respective 262 and 91 rental apartments above an approximate 12,000 and 10,000 square feet of ground-floor retail. Building G1 could begin delivering as soon as late-2019; construction is expected to begin on the F1 building as early as next summer for a likely delivery in by mid-2022. 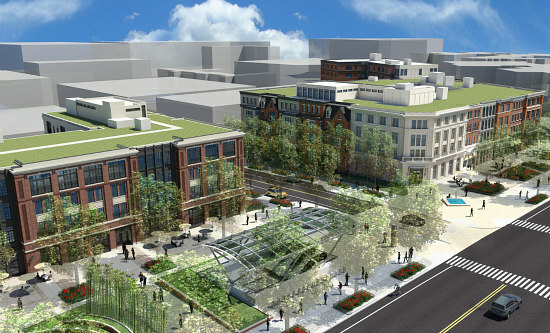 The remainder of the plans for the surrounding land are contingent upon a number of things, including the planned closure of the shelter at DC General (which is supposed to be replaced by several smaller shelters distributed across the city) and Amazon's decision of where to locate its second headquarters. The Reservation 13 site is one of four the city pitched to the company (unbeknownst to the community).